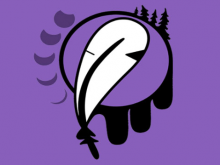 What's New in Indigenous Studies? 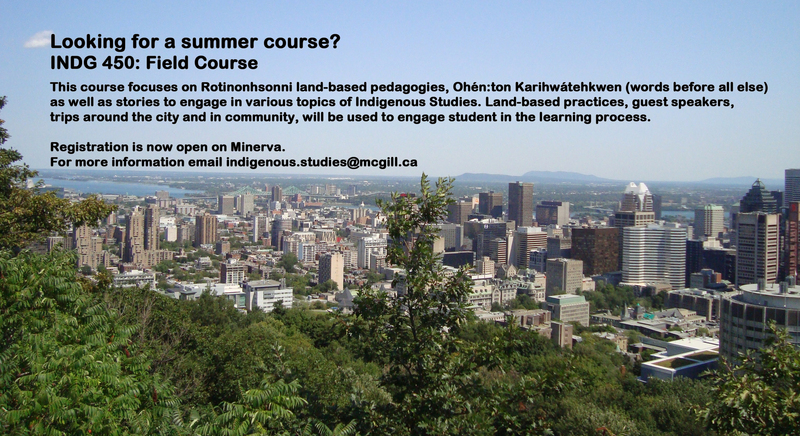 The Indigenous Studies Program at McGill University was established in 2014 in response to years of research, reflection, and activism on the part of students at McGill and the Indigenous communities on campus. Currently a minor program within the Faculty of Arts, the Indigenous Studies Program is administered by the McGill Institute for the Study of Canada (MISC). Indigenous studies more than courses with Indigenous content — it’s about engagement with Indigenous knowledge, with its distinct methodology, norms, and expectations within the academy. The minor in Indigenous Studies currently provides students with a broad interdisciplinary approach to key topics in the historical, social, and cultural dimensions of Indigenous life on Turtle Island (North America). The program's core courses engage students with Indigenous studies as a stand-alone field by introducing and contending with Indigenous knowledge systems and societies from within, in ways that promote the resurgence of these systems. This places an emphasis on the field of Indigenous Studies’ distinct methodologies and expectations, like an emphasis on reciprocity in the Program’s Indigenous community partnerships. In its relatively short existence, the minor program has been an essential site of Indigenous community engagement and outreach. By organizing and sponsoring public events, community outreach projects and bringing visitors to McGill through the annual Indigenous Knowledge Holder Series, the Program serves as a linchpin for Indigenous initiatives and community building on campus.